How many of you remember the show Supermarket Sweep? If you were told to scour the grocery store aisles in search of interdental cleaners, would you know what you were looking for? Even without the pressure of television cameras or a countdown clock, interdental cleaners could stump even the savviest shopper. On the other hand, if you were asked to look for dental picks or floss, our guess is that you would know exactly where to go. 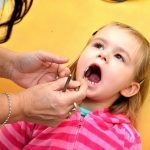 Well, you guessed it, interdental cleaners describe a category of tooth cleaning products that help remove debris and plaque that collect in between your teeth. Keep reading as we unpack these devices and highlight their effectiveness in doing the job of keeping your teeth clean! While the vast majority of the population brushes their teeth twice a day (or so we like to think), it’s still somewhat shocking that less than 40% of people admit to flossing once a day, with 20% of people admitting they never floss at all. If you are only brushing, you’re only getting your teeth 60% clean. Ask yourself, why would you only bathe half your body? 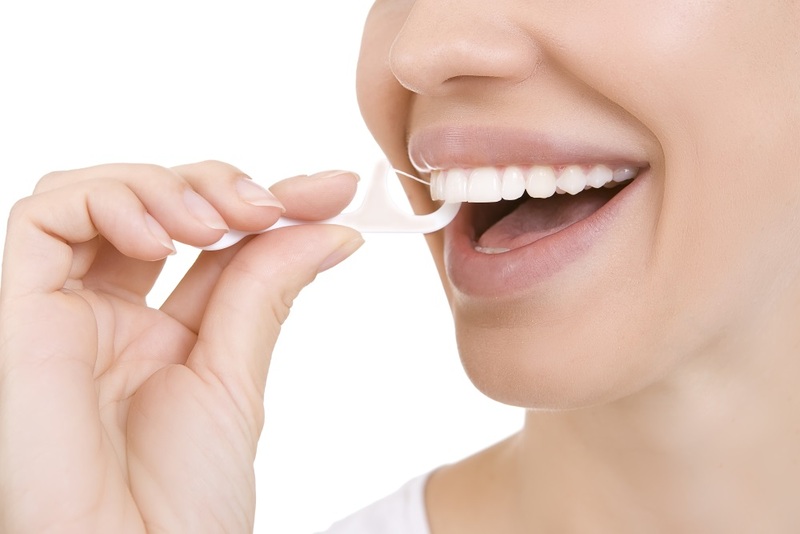 Flossing is a vital component to your oral health routine. When picking dental floss, it’s important to pick a product that is most comfortable to you and that is easy to use. In other words, pick whatever gets you to feel more inclined to do it. If flossing is a struggle, you’re more likely to skip it in your daily routine. The main difference between traditional stringed floss types is whether it’s waxed on not. Waxed floss can easily slip between the teeth and is something usually flavored with mint. Floss picks are another option. Unlike stringed floss, a roughly ¾-inch stretch of floss is strung like a harp onto a plastic, handheld device. 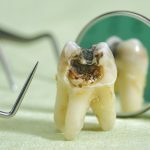 While easy to handle, some dentists are afraid they aren’t as good at removing plaque, since it’s difficult to complete a “C” around the tooth to completely clean it. You probably hadn’t stopped to think about this before, but the ability to curve the floss around each tooth is one of the important dental floss tricks! Nonetheless, the reasons to use interdental cleaners are still many. Keep on reading to learn our top five reasons to hit this shelf at the store the next time you shop! Prevents tooth decay: Tooth decay is totally preventable. And, left unchecked it can cause pain, infection and even tooth loss. Flossing helps prevent decay by removing hard-to-reach particles of food and plaque that brushing can leave behind. Prevention is key, and flossing is an essential element. Prevents plaque buildup: Plaque moves fast and can start affecting teeth just hours after eating. Plaque hardens in 48 hours and is then firmly stuck on your teeth. 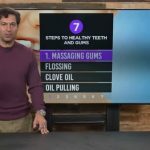 Skipping a few days of flossing can be incredibly detrimental, and a professional cleaning would be needed to get all the hardened plaque off. Helps prevent gum disease: Even the best of tooth brushes can’t reach in between all of your teeth. Plaque can build up settle on your gum line and between teeth, and create a bacteria that can harm your gums. If that doesn’t make you want to floss, the bacteria can also affect the gum tissue and bone that support your teeth. This can lead to loose and falling-out teeth. Keeps your whole body healthy: Studies have shown a link between gum disease and heart attacks and strokes. 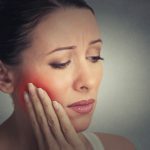 It’s thought that since gum disease is caused by bacteria it can enter your bloodstream, and where they attach to the fatty deposits in the blood vessels they end up causing bigger problems. This can cause blood clots and may lead to heart attacks. In the absence of gum disease, scientists have found, there is actually less bacteria in the heart. Prevents bad breath: Bad breath is normally caused by your teeth, tongue or gums. Small pieces of food can become lodged between your teeth, and over time breed bacteria that omits odoriferous gasses (this means the stinky kind). In addition to flossing to remove the food particles, drinking lots of water will also help you keep bad breath at bay.